Last day of term at Smallbrook School and what a day it was! 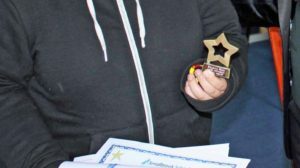 With so much to celebrate, Smallbrook School’s end of term celebration day was a wonderful occasion when students came together with staff, carers, social workers, and friends, for their annual celebration day to recognise the efforts and achievements made by all. Awards presented on the day recognised attainment and progress in areas such as English, maths, science, music, hair and beauty and many more besides. In addition, there were certificates for commitment, effort, team skills, attendance and overall improvement. During the event, visitors enjoyed watching a video of the students’ many activities and successes over the year and listening to live performances on piano and a moving rap performance by one of the students about bullying. Afterwards, classrooms were open for visitors to see students’ work on display and to enjoy a drink and a chat over cakes and pastries provided by the Smallbrook kitchens. The day ended with news, just in from a local college that a Smallbrook student had been accepted onto her chosen programme to start in September 2018. A marvellous end to what had been a very enjoyable and hopefully, a memorable day for students. 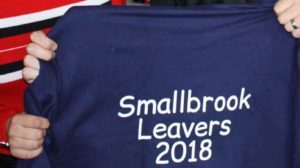 The young people reluctantly went on their way to begin the summer break after many farewell hugs, promises to keep in touch from the leavers and with their teachers’ very best wishes for the next phase in their lives. Smallbrook School and Bryn Melyn Care staff would like to wish Year 11 students the very best for their exam results and look forward to seeing some of you on exam results day later this month.